This year we had a very nice spring, with plenty rain and some cool days which allowed for a great deal of grass and foliage to grow. This was great for the monkeys in the spring as it gave them a great and lush food supply. Now however with the long days of sunlight and hot temperatures the grasses have dried out and the forest has turned to a rocky hayfield. 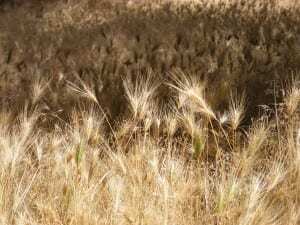 The grasses are now all ready to literally sow their seed and there are hundreds and hundreds of grass seeds across the ground. And due to the nutrition spring sometimes knee high grass or even waist high. This creates problems for humans and monkeys alike. 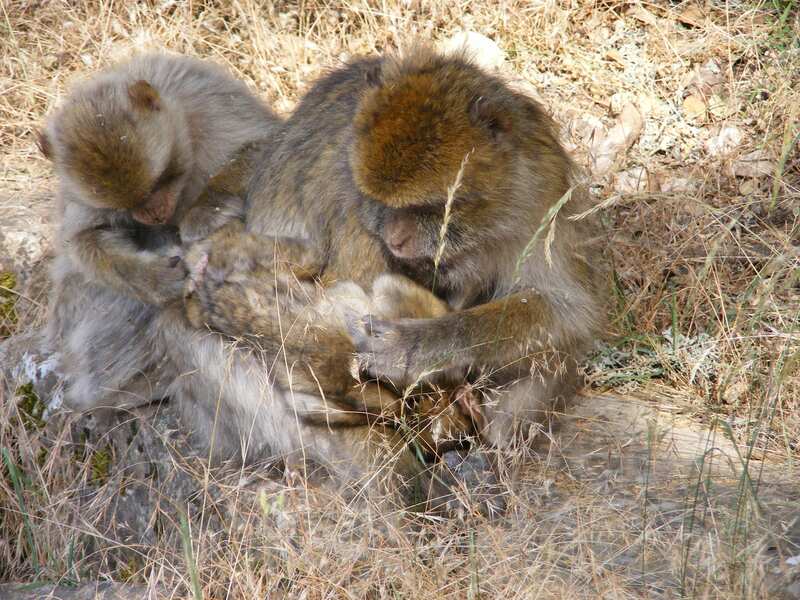 Grooming has many functions in monkey societies, from building social relationships, reducing stress or for hygienic purposes to remove parasites. 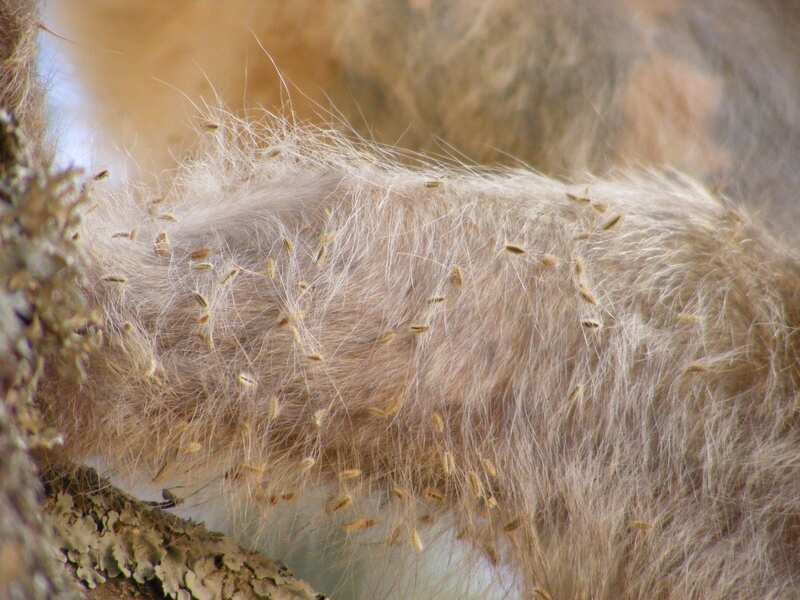 Currently grooming rates are on the up for all primates in the forest as we all try to remove the many grass seeds that get stuck on our fur or clothing. 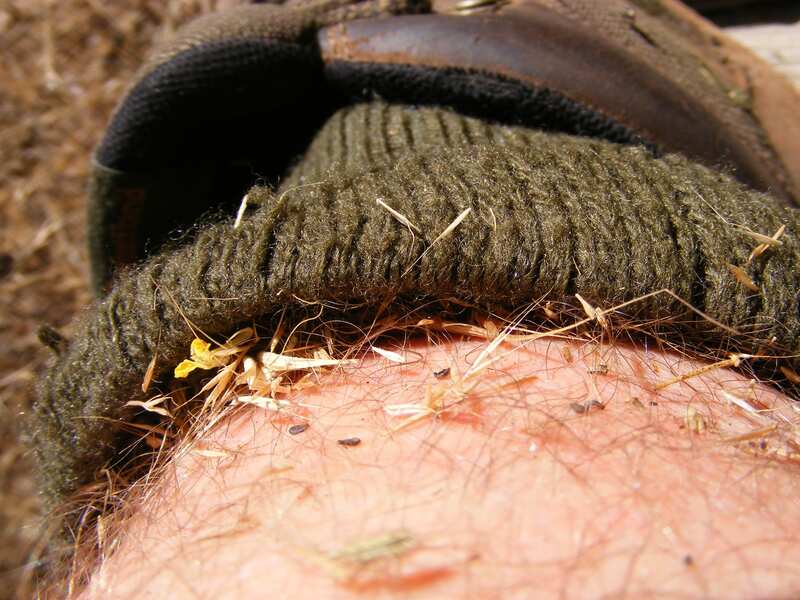 These seeds cause a great deal of irritation and add a whole new challenge to the field. 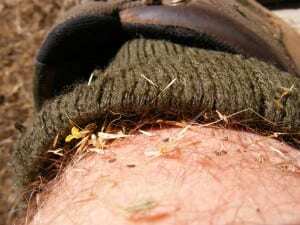 Trying to do a focal whilst grooming grass seeds out of your leg hair is an acquired skill which i am now begining to perfect. It’s the mother’s i feel most sorry for, they spend hours painstakingly grooming and picking out seed after seed from their infants and as soon as they are done a male or juvenile runs up and whisks away the infant. Then an hour or so later the infant comes back to the mother and is covered head to toe in grass seeds, dirt and grime and the mother has to start all over again. All their hard work undone by a less dutiful group member.